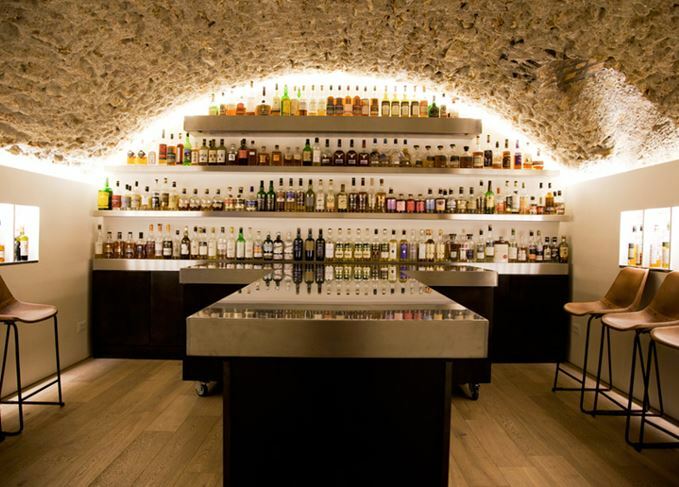 France’s love affair with Scotch has been enduring, yet its capital city has not always been home to a great selection of whisky bars. Luckily, Christine Lambert is here to guide you through the very best whisky destinations the City of Lights has to offer. Call it a French paradoxe – another one on a long list – as although France counts among the largest markets for whisky – and the number one for Scotch – and despite the golden nectar being by far the favourite tipple in the country, very few bars are devoted to its blissful consumption. These past years, the cocktail scene has been blooming with an extravagant creativity in Paris, but as of today, the whisky bars of Paris – proper whisky bars – can still be counted on the fingers of one hand (if you are wearing a mitten). But fortunately, bars are not the only options here for Scotch lovers. Opened in January 2016, this is the whisky bar Paris had forever been waiting for. An association between La Maison du Whisky and La Maison du Saké, it is located in a former sauna, built in stone-vaulted cellars. Start at the whisky cocktail bar downstairs, then ring at the heavy metal door concealed in shadow, and get ready to hyperventilate. The secured door opens on a vast room displaying some 900 different whiskies, costing from €11 (for 2cl of an old blended Scotch bottled in the 1960s) to €290 (Springbank 12 Years Old bottled by Samaroli in the 1970s, or Laphroaig 10 Years Old from the 1960s). Then pay a visit to the adjacent Japanese library. Hanyu, Karuizawa, Yoichi and co. are the authors piled on the shelves. So much to read… and what if I told you, you can bring your old vinyl records? The turntable is yours while you learn to speak the language of angels. A legend, a piece of liquid history, an institution which crossed times and fashions since 1911. In one word: a museum. Please curtsy before the Macallans 1938 and 1940 displayed in a glass case by the entrance like two Jocondes (that’s French for the Mona Lisa – Ed). They’re the real thing, not fakes, says Serge Valentin – who had a look at the stock and tasted them all. Some 350 whiskies, mostly Scotches, shine on the list (figuratively, since there is no actual list, or rather a very poor one not doing any justice to the fabulous stock). Among them, a lot of old and rare vintages. Like I said: a museum. Now you can skip the Louvre. Is Bourbon your thing? In Pigalle, near rue Frochot (one of the hottest spots of the Parisian cocktail scene), stop at Bâton Rouge. Take it as an order, not a suggestion. First, the cocktails are fan-tas-tic. Second, with some hundred ryes and Bourbons, this is your only chance in Paris to taste 1950s Old Crows, 1980s Clarkes or Walker’s, Willetts and so much more. Another famous cocktail bar, located between la Bastille and le Marais, with a well chosen whisky list. The little bonus? You can order thematic flights or go for the ‘rare bottle of the month’, shared in 23 drams served at cost price. You enter through a hipster barber shop, push the back door, and take a seat at the sparkling copper bar to sip a dram while listening to soft jazzy music in a cosy atmosphere. Gentlemen 1919 selected some 80 whiskies on its list, Scottish classics mostly, with a fair number of cask strength and double matured or finished single malts that so well match the occasional cigar. Cigar? Yes, the smoke room is one of the better reasons to pay a visit. The only restaurant in Paris to display over 300 single malts, from €5 a dram, to €150 (a Karuizawa Noh 29-year-old), in a warm and friendly atmosphere. The chef and owner, Jean-Michel Noël, is a true whisky lover and an amazingly creative cook. Food and whisky pairing’s your thing? One Friday a month, a special five-course menu (€65) is organised around single malts, and for each course you will be given the choice between two whiskies. Check the website and book now. This gastronomic restaurant opened by the late Michelin-starred Bernard Loiseau hosts food and whisky pairing sessions on a regular basis (€120 for the the four-course menu). The cuisine is perfect and enchanting, but the pairings highly depend on the hosting brand. Aim for the William Grant events: their French ambassador really cares for the details, and always brings a surprise straight from the warehouse. Last time, it was a cask strength 1991 Balvenie matured in an ex-Laphroaig cask. Oh yeah. A vast terrace in a quiet area, great bistro cuisine, fantastic wines… and over a hundred bottlings from the Scotch Malt Whisky Society (10% off if you’re a member). The place is much frequented by people of the food and wine trade. That speaks volumes. The most iconic Parisian whisky shop, founded in 1956 and refurbished a couple of years ago, simply offers the best of Planet Whisky in the capital. The Collectors’ room attracts as many tourists as the Eiffel Tower (without the queuing and the stair-climbing part) and, whatever the colour of your credit card, you will find your soulmate bottle. Downstairs, the tasting room in the vaulted cellar hosts masterclasses and tastings on a regular basis. You won’t be able to ignore the wine and craft beer section, nor the mouthwatering cheese counter when you come in this épicerie (grocery). But head straight to the back of the shop. That’s where the whisky hides in a jolly shambles of shelves and crates. No dogma or prejudices here; only good taste, fair prices and curiosity. Most of the bottles are opened so that you can taste before you buy (or not). Among half a dozen Julhès shops are scattered downtown, but you want to visit the historical one on rue du Faubourg-Saint-Denis – one of the very few places selling rare editions. If you are looking for something special, just ask. Since a 50-year-old Balvenie was stolen three years ago, the rarest bottlings are kept in the cellar. The owner, Nicolas Julhès, opened a couple of doors away the Distillerie de Paris, and twice a year hosts a whisky festival in the backyard (admission free). Why would you need to pay a visit to The Whisky Shop in Paris, since you will meet the same at every street corner in the UK? Because this one, opened in April 2016 a stone’s throw away from La Maison du Whisky (how convenient for you), in the shadow of the Madeleine church, is the only European shop to welcome a luxurious Johnnie Walker House. More importantly (sorry, Johnnie), this very British shop shelters the largest offering of… French whisky. If you need to bring back a souvenir, that will make a nice change from the usual snow globe with the Arc de Triomphe.